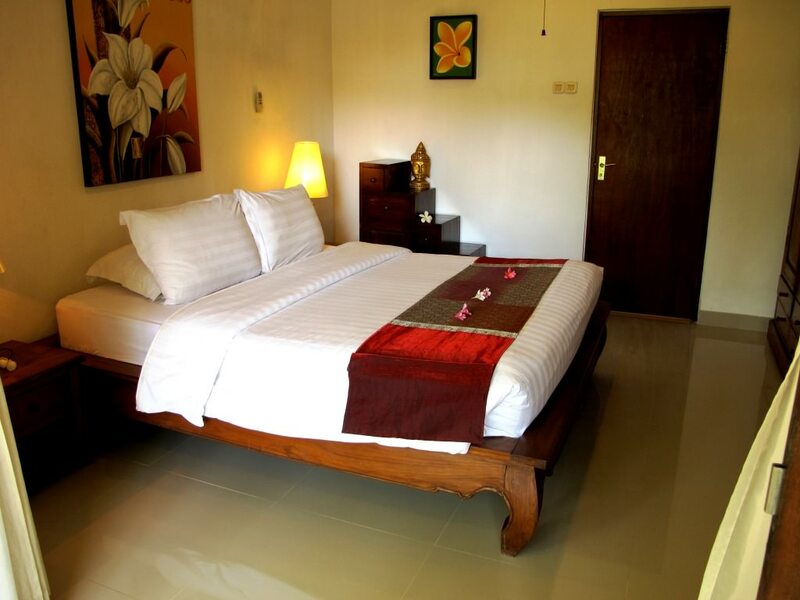 The 2 simple but pretty rooms offer everything you need to stay overnight. The living space including the small terrace is 25 m². 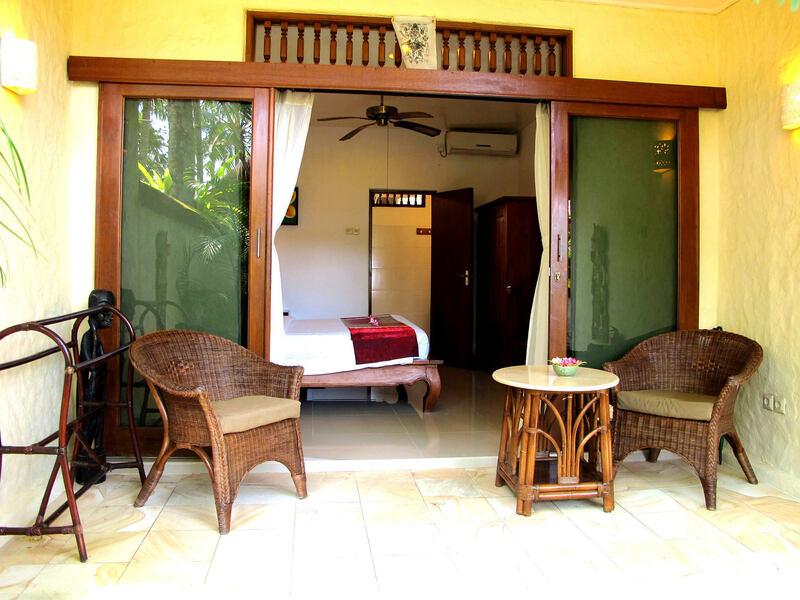 The rooms are furnished with teakwood in typical Balinese style. 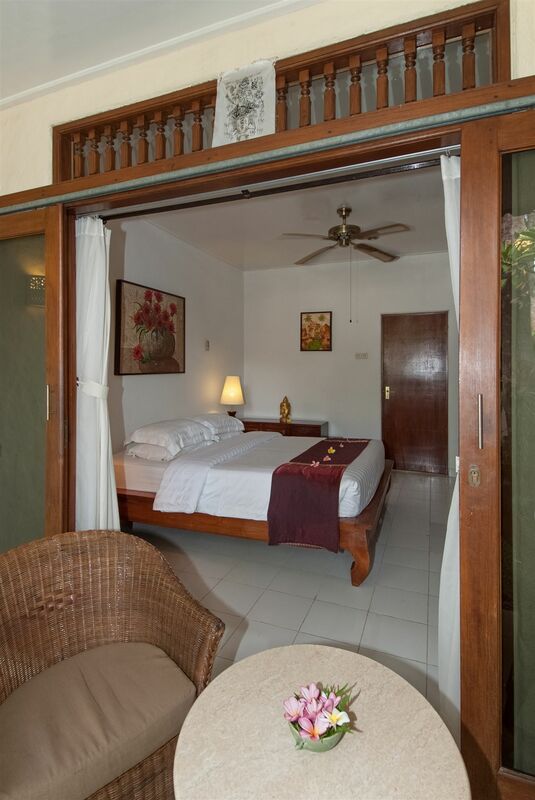 The furniture consists of a double bed, fan and air conditioning, a desk with chair and a mini bar. The bathroom with shower (hot and cold water) and western toilet measures approx. 6 m².